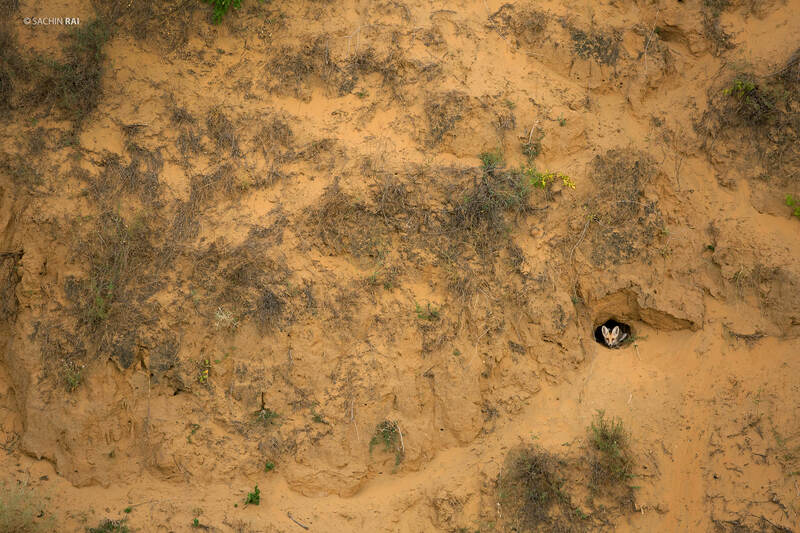 In the arid ravines that surround the Ranthambhore Tiger Reserve, a desert fox Vulpes vulpes pusilla waits patiently in its den for the scorching sun to set. These habitats are fast being invaded by farmlands, quarries and sundry urban developments that rob innumerable wild species of shelter and sustenance. The stark, sandy tones and the fox’s exquisite, inquisitive, peeping face make this a photograph to remember.